The launching ceremony for the Innovation Center for China-U.S. Youth Exchange was held at the Peking University Innovation and Entrepreneurship Center on February 2, 2018. Speakers included the U.S. 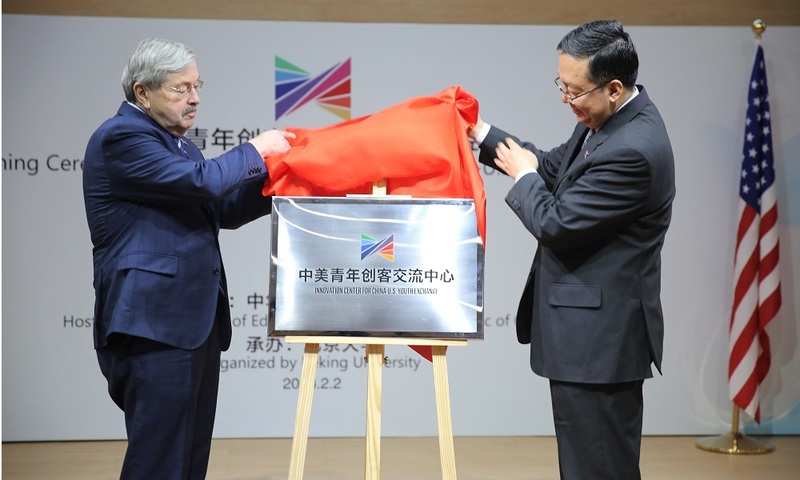 Ambassador to China, Terry Branstad; Vice Minister of Education, Tian Xuejun; President of Peking University, Lin Jianhua; and Microsoft Research Asia (MSRA) Outreach Senior Director, Tim Pan. As part of the launch, The Department of International Cooperation and Exchanges announced 18 Innovation Centers for China-U.S. 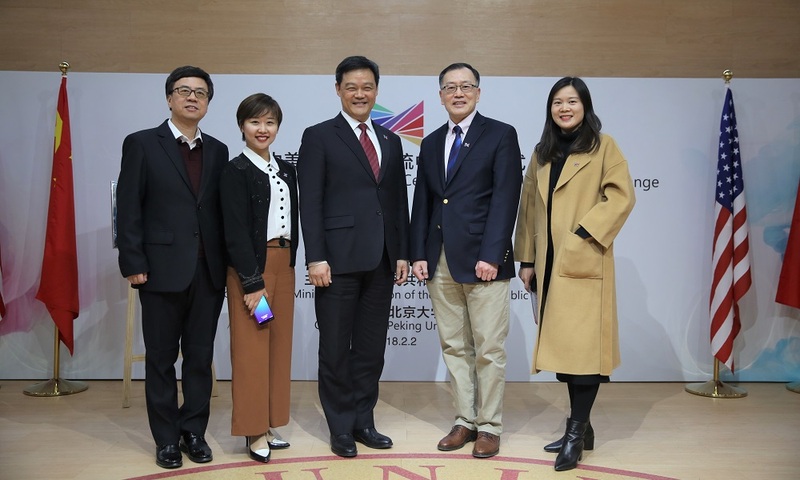 Youth Exchange, located at 16 universities and in two enterprises, including Peking University, Tsinghua University and Shanghai Jiao Tong University. Microsoft Research Asia has the honor to be the industry partner for the Innovation Center for China-U.S. Youth Exchange. The Innovation Center for China-U.S. 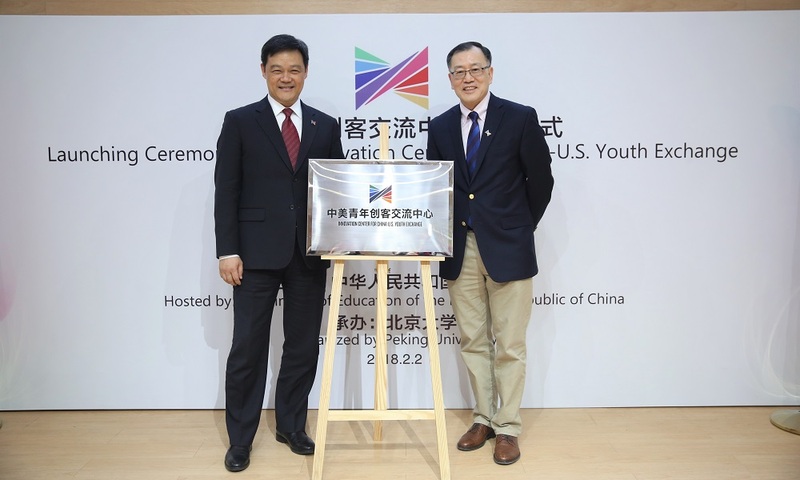 Youth Exchange marks an early success in the latest in China-U.S. social and cultural communication efforts. According to the U.S.-China Social and Cultural Dialogue issued on September 29, 2017, youth from the two countries will be encouraged to communicate and co-operate toward the aims of innovation and entrepreneurship. The Innovation Center for China-U.S. Youth Exchange will provide both a platform for innovation and entrepreneurship training, as well as a bridge for scientific and cultural communication. 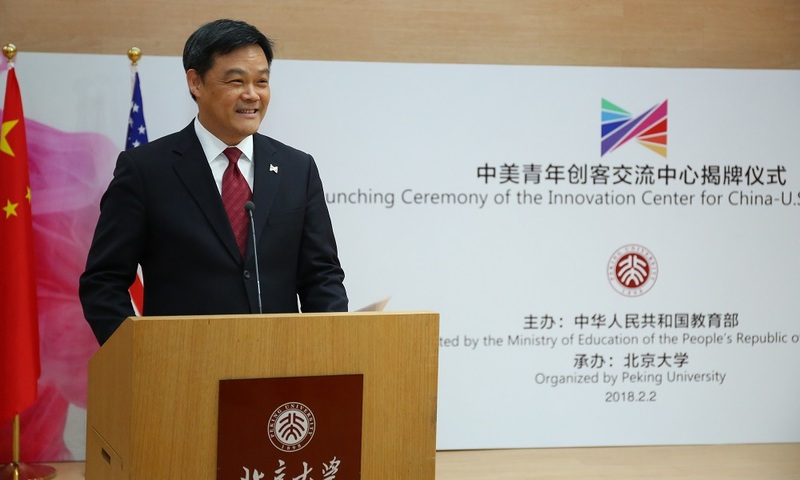 In Tim Pan’s speech, he recalled many instances over the past 20 years of co-operation between Peking University and MSRA in scientific studies, education and international communication. Now, as the Innovation Center’s industry partner, MSRA will continue to work with and develop youth from China and the U.S. in terms of innovation, technology and communication. 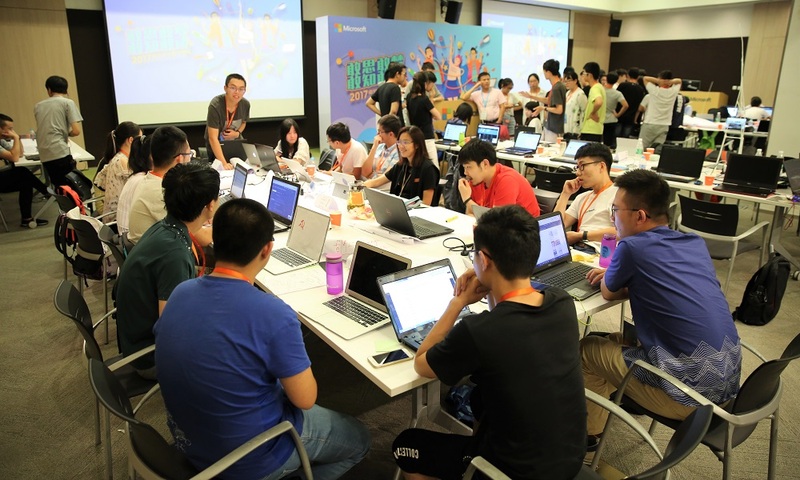 Microsoft will initially collaborate with youth at Nankai University, Tsinghua University, Shanghai Jiao Tong University, Peking University, Beijing Normal University, Nanjing University and Nanjing Tech University. 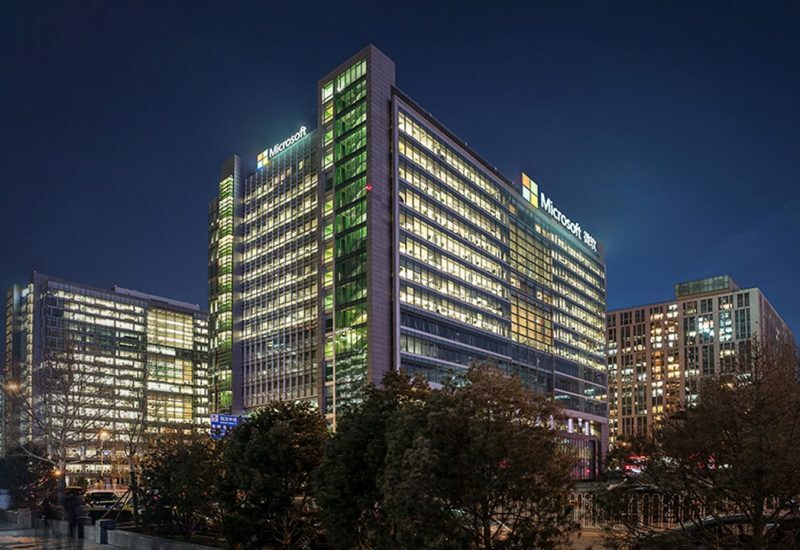 Microsoft will support these initial centers with joint programs, activity venues, front-edge technologies, experts and professional curricula, as well as innovative ideas to further the development of the Innovation Center for China-U.S. Youth Exchange vision. The collaboration will make many of Microsoft’s resources available to more youth. For instance, the Microsoft Space Station for Innovation, supervised by experts from Microsoft Research Asia and the Microsoft (Asia) Internet Engineering Institute, have been helping students learn about artificial intelligence, hybrid reality, cloud computing and cognitive services. More than 700 students from 23 universities in mainland China and Hong Kong signed up for the project after its release on Microsoft Student Club. The project will be open to participants in the Innovation Center for China-U.S. Youth Exchange. Meanwhile, the Microsoft Garage, an incubation lab for employees, offers opportunities for employees to bring innovative ideas to life. There are seven Microsoft Garages worldwide and nearly 100 software programs have been released, due to independent employee innovations. The annual Microsoft One Week Hackathon, a core program of Microsoft Garage, is testament to the passion and innovation of Microsoft employees. 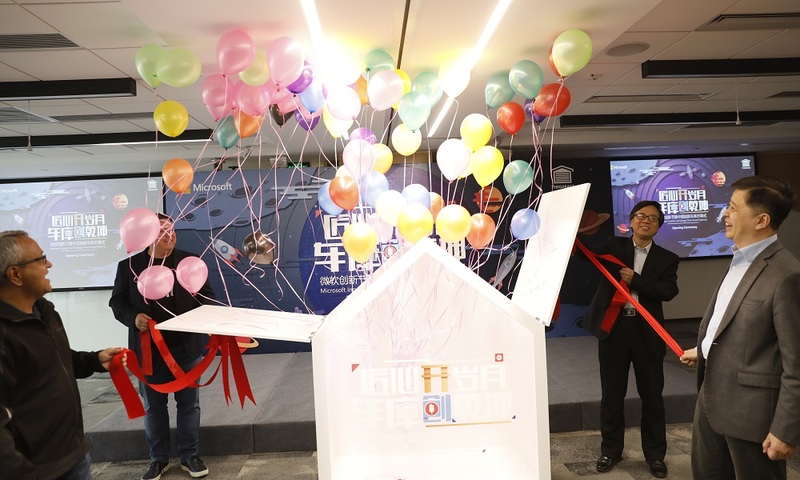 Microsoft Garage Beijing will be launched in April 2018, and it will be available for participation by co-operating universities in the Innovation Center for China-U.S. Youth Exchange.